Police in Calderdale are appealing for information to trace a man who has been missing from his home for almost a week. Stephen Ellis, 49, of Todmorden, has not been seen since Tuesday morning and his family and friends are becoming increasingly concerned. He is described as white, about 5ft 8ins tall, and of average build. He has short receding grey hair and is usually clean shaven. He has links to West Yorkshire and Greater Manchester, particularly the Todmorden and Rochdale areas. 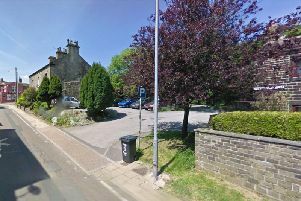 Insp Angus Rushton, of Calderdale District Police, said: “We are concerned for Mr Ellis’s welfare as his actions are completely out of character. He normally speaks to his family on a daily basis and this has ceased since Tuesday which has heightened our concerns.